It looked to me like these two were having a dance-off. 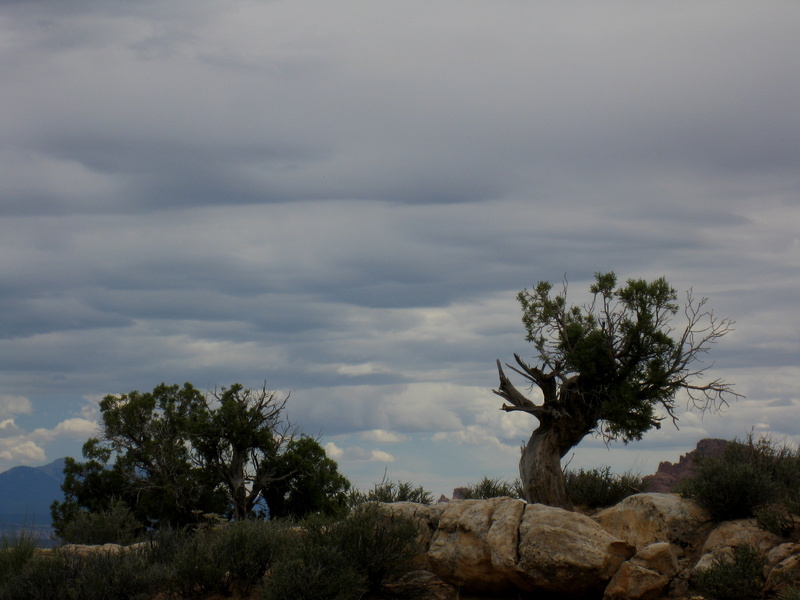 It’s funny how many of my pictures from Moab were of trees, considering that trees are the least of the landscape there. My Mother was a tree-hugger. I guess it’s in my blood. Maybe trees were so fascinating there just because they were less likely in that environment. At any rate, your photo is wonderful.